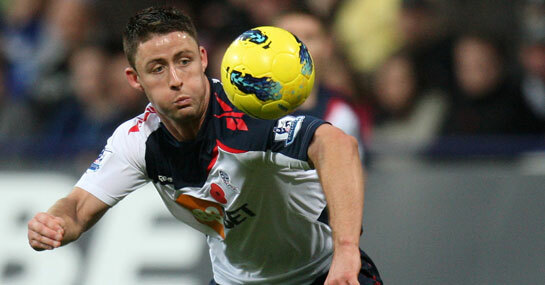 Gary Cahill’s apparently imminent departure from Bolton was one of the main features of a summer transfer window that promised several potential big domestic moves, few of which materialised. Whilst Arsenal and Chelsea were touted most as potential suitors, it was Tottenham who made what was believed to be the only firm bid for the player, having an offer of around £12million rejected on deadline day with Bolton unable to find a replacement at such short notice. The circumstances come January though, could be perfect for the former Aston Villa man to make the switch to White Hart Lane. Tottenham have emerged as genuine title contenders this season, sitting in third place with a game in hand on Manchester United, and playing a brand of football that is amongst the most attractive currently on display in world football. They are 16/1 to claim a maiden Premier League title. If there is one criticism that could be levelled at them, it is possibly that they are not as solid as they could be at the back, and Harry Redknapp will be as keen to strengthen there as anywhere else. Therefore, a move for England international centre half Cahill would make perfect sense, and the reported fee of £7million would be reasonable for a player whose contract expires next summer. His current club Bolton are in turmoil, and boss Owen Coyle, 4/1 joint-second favourite to be next Premier League manager to leave his post, knows he must sell if he is to generate cash to add to his injury-depleted squad. Whilst he will be reluctant to lose a player of Cahill’s undoubted quality, the Scotsman has openly admitted that funds are extremely limited at the Reebok Stadium, and January would look like the most suitable time to complete a deal that would give him some room to manoeuvre in the transfer window. It looks as though the Gary Cahill transfer saga could finally be coming to an end.